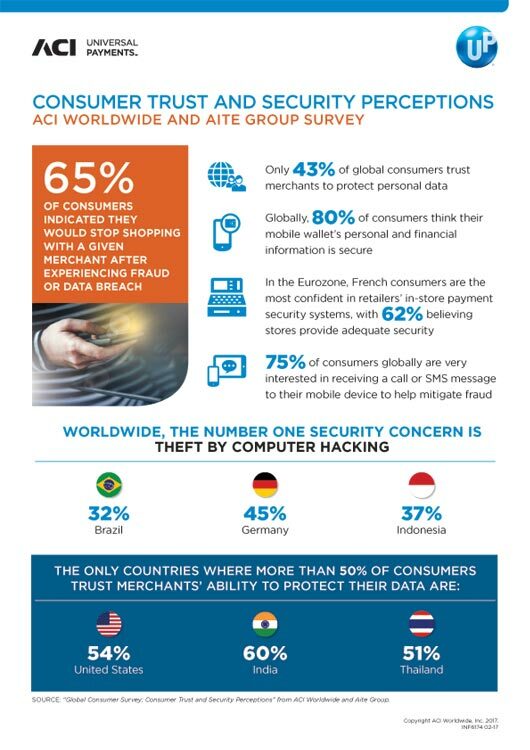 More than half of UK consumers are concerned about the ability of businesses and financial institutions to protect confidential data, with 19 percent of respondents saying they do not trust firms to protect their data and 33 percent saying they are unsure, according to a new global report from ACI Worldwide (NASDAQ: ACIW) and Aite Group. 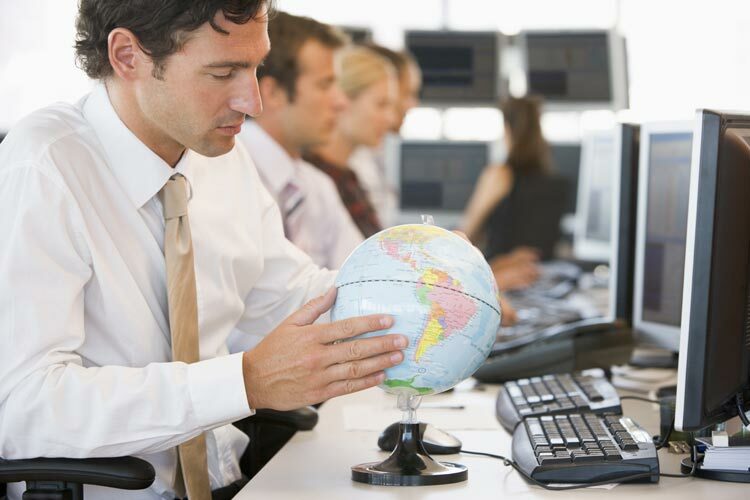 Confidence levels were similar across the globe and only three countries had more than 50 percent of respondents indicate that they trust institutions to protect their financial and payments data. In some countries with very strict data security guidelines, such as Germany and Singapore, consumers report some of the lowest levels of confidence in data security and control. The “Global Consumer Survey: Consumer Trust and Security Perceptions” surveyed more than 6,000 consumers from 20 countries on their perceptions and opinions toward fraud in shopping, data protection, and the ways they want to engage with firms to minimise fraud. More than a third of UK respondents (35 percent) consequently see theft by computer hackers as the biggest fraud risk, while using cards for purchases via telephone, using a phone or tablet to shop or pay bills and shopping online are all perceived as less risky. After experiencing fraud or data breach, 56 percent of UK consumers said they would stop shopping with a given merchant. “With stories about data breaches regularly dominating the news headlines, these results do not come as a surprise. Most financial institutions and businesses worldwide have invested considerably in sophisticated fraud monitoring and prevention solutions; however, fraudsters also invest considerably. They continually find new ways of attacking IT systems and thereby collecting and monetising confidential data. Mobile Wallet Adoption: Mobile wallet and payments adoption is strongest in regions where other electronic payments options—particularly card payments infrastructure—is less mature, for example India (56%), Thailand (51%) and Mexico (38%) compared to ‘mature card markets’ in Europe like the UK (14%), France (15%) and Netherlands (20%). Mobile Wallet Security: Consumers show a surprisingly high level of confidence when it comes to mobile wallet security. For example, 93 percent of UK respondents say they believe mobile wallet technology is secure or somewhat secure, one of the highest rates globally. Fraud Education: Consumer education on fraud awareness varies significantly across and within regions. In the UK, only 39 percent of consumers say they have received anti-fraud information from their bank. Across Europe, the picture is similar with at least one-third of consumers saying they don’t recall receiving any anti-fraud information. Fraud Prevention: Consumers are generally willing to interact with organisations in order to mitigate fraud. The majority of UK consumers (55 percent) prefer to be contacted by a bank via mobile phone if there is unusual activity on a bank account or card. To receive a complimentary copy of the report, please click here or visit https://www.aciworldwide.com/fraud-survey. To view Part 1 of the Global Consumer Fraud report, click here. from 2012 and 2014. In each country, the data have a margin of error of approximately five points. Statistical tests of significance, where shown, were conducted at the 95 percent level of confidence.